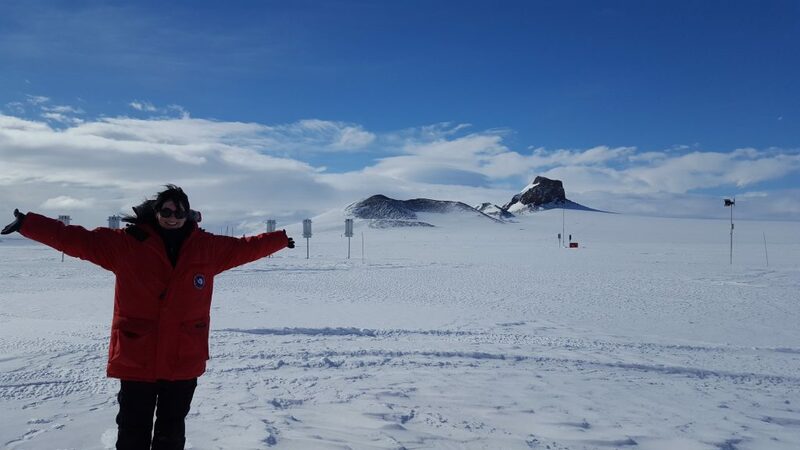 Seismology has always been a part of Amanda Price’s life – even if she didn’t always know it would be her job. After taking time off after high school, she returned to college and her interest in earthquakes became more formal. 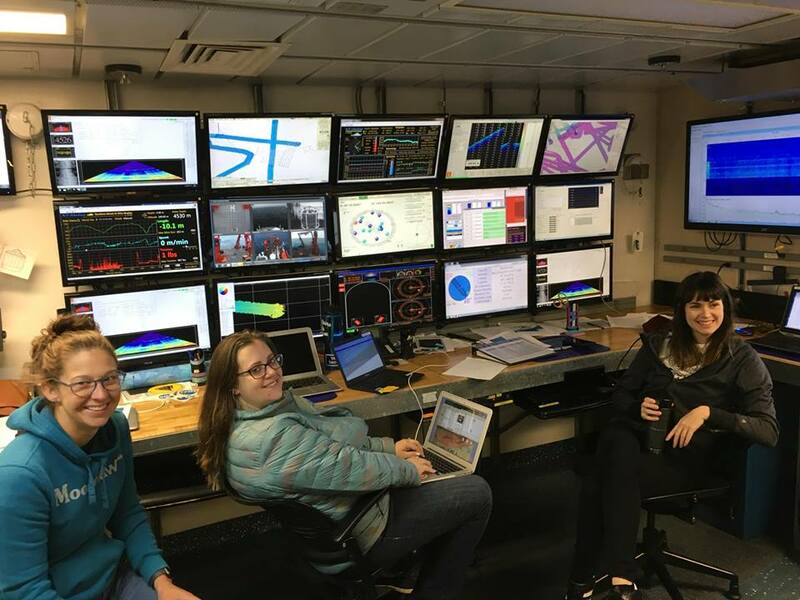 “I found the field of geology and realized that my interests in math and programming aligned well with seismology,” she says. Price is now a Ph.D. candidate at Washington University in St. Louis, Missouri. One of her current research interests is the location and detection of earthquakes. She spent the first year and a half of her doctorate looking for tectonic tremors in an unexplored dataset from the Mariana subduction zone. It was a search that led to the discovery of a sequence of intermediate depth remotely triggered earthquakes stemming from the powerful 2012 Indian Ocean M8.2 and M8.6 tremors. Remotely triggered earthquakes are an enigmatic topic in seismology. Seismologists think major earthquakes can trigger others thousands of miles from their epicenter and many days after the initial event. The exact causes are still not entirely understood, but the location of these remote earthquakes may provide answers as to how a major event can impact tectonic activity along distant faults. But finding and identifying remote earthquakes isn’t always easy, especially when they’re 75+ kilometers deep in the Mariana subduction zone. “The problem about that depth is that there may be a waveguide effect due to the subducting slab,” she says. This means the structure of the subduction zone itself guides waves in a way that makes it difficult to pinpoint where an earthquake’s hypocenter may be. The other problem is that the nearest land-based seismic stations are on noisy volcanic islands, where constant seismic activity can make it difficult to get a clear picture of when and where earthquakes happen. To combat these issues, Price uses data from ocean-bottom seismometers and location algorithms to help locate these earthquakes. She hopes the sequence she found can shed light on the mechanisms that generate these earthquakes, but for now it’s too early to tell, as there’s been no previous documentation of them. Most of Price’s research is done in front of a computer, writing programs, locating earthquakes or writing papers. But occasionally, her research takes her to the field. This summer, she deployed ocean-bottom seismometers in the Gulf of Alaska as part of the Amphibious Alaska Community Seismic Experiment (AACSE). Price (right) with Anchorage High School science teachers Bethany Essary and Shannon Hendricks in the computer room on the AACSE vessel. 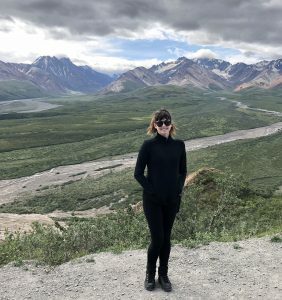 “It’s really come full circle,” she says, recalling her childhood spent checking out books on the great 1964 Alaska earthquake from her local library. Price is now looking forward to the 2019 SSA Annual Meeting, where she hopes to present some of her research. She’s received advice and insights on what a scientist’s daily life is like from more experienced members. One member she’s looking forward to seeing in Seattle next year is Lucy Jones, who will be receiving SSA’s Press Public Service Award at the meeting. Looking forward to her own career, Price wants to be somewhere she can have diverse opportunities. SSA At Work is a monthly column that follows the careers of SSA members. For the full list of issues, head to our At Work page.